Lock in a great price for Home from Home Bed and Breakfast – rated 9.6 by recent guests! The room though a little small was fine, the bed quite comfortable. All the facilities were good class. Great to have own ensuite! Everything. I was greeted with a smile. The whole experience of staying at the bnb was fantastic. The room was clean warm and a comfy bed. The facilities were excellent, enjoyed my breakfast in beautiful surroundings. A wonderful host. Great breakfast. Excellent facilities. The room was quite large and better equipped than expected. Bathroom was large and well, and it had a SAUNA. Breakfast was full. Quite exellent. Beautiful little B&B, the room was lovely, lots of nice touches throughout, including complimentary scotch whisky (went down well), sky tv (with all the channels), comfy double bed, and good shower. Treated to great cooked breakfast in the morning and as well as being able to help yourself to continental selection. Will be back! Totally relaxed and quiet. Really is home from home! Last minute accommodation was needed and this was a very comfortable spot to stay. The owner was very helpful and chatty and the breakfast delightful. Outstanding! The most comfortable BnB I have been in. Everything you could wish for. And more! Hosts were most accommodating and went out of their way for us. Very friendly staff, very clean and welcoming, breakfast cereal with fresh fruit and yogurt plus full breakfast with black pudding and haggis. Bedroom comfy with a late night tipple by the bed was a nice touch. Allowed us to drop our suitcase off prior to booking in, as we went on to Edinburgh via the park and ride tram service. 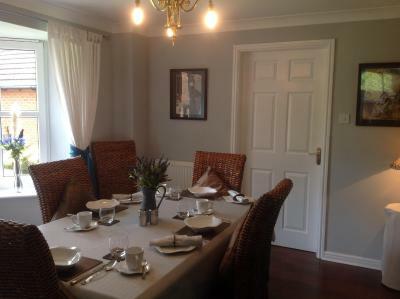 Home from Home Bed and Breakfast This rating is a reflection of how the property compares to the industry standard when it comes to price, facilities and services available. It's based on a self-evaluation by the property. Use this rating to help choose your stay! 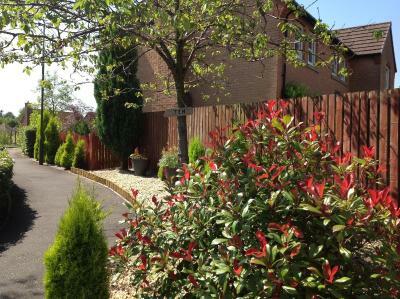 Just 2 miles from Livingston, Home from Home Bed and Breakfast features a garden, a shared lounge with TV and free WiFi available throughout. There is also free parking possible on site. Each room comes with a flat-screen TV, a seating area and a wardrobe. 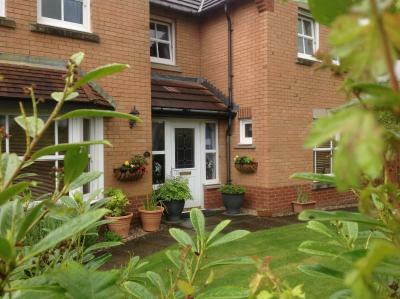 They also offer garden views, tea and coffee making facilities and free toiletries, a shower and hairdryer. Guests can go golfing at Deer Park Country Club, 3 miles away and Pentland Hills Regional Park is 20 miles away. 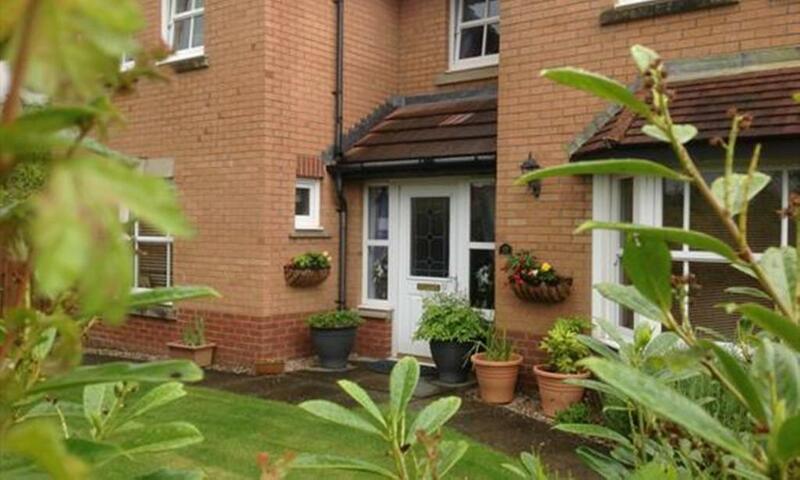 Edinburgh Airport is located just less than 12 miles from the property and Glasgow city center is 30 miles away. 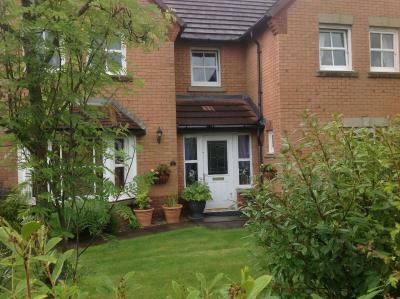 This property is also rated for the best value in Livingston! Guests are getting more for their money when compared to other properties in this city. When would you like to stay at Home from Home Bed and Breakfast? This double room has a sauna, tea and coffee making facilities, a flat-screen TV and a shower, hairdryer and free toiletries. This double room has a flat-screen TV, a shower, a hairdryer and free toiletries, and tea and coffee making facilities. 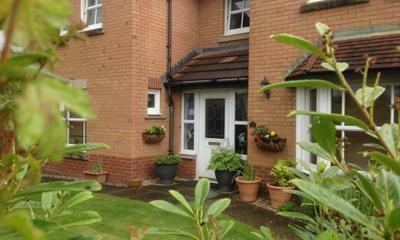 Home from Home Bed and Breakfast in Livingston is ideally located for tourists and business travellers alike. 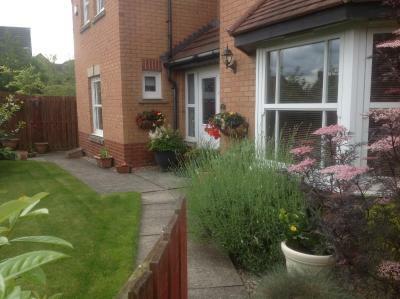 This friendly family home which has free Wi-Fi, Sky TV, and parking facilities, is a most welcoming small scale establishment offering two letting rooms. The true comforts of home are in plentiful supply in both our twin room, and our double room. House Rules Home from Home Bed and Breakfast takes special requests – add in the next step! Home from Home Bed and Breakfast accepts these cards and reserves the right to temporarily hold an amount prior to arrival. Please inform Home from Home Bed and Breakfast of your expected arrival time in advance. You can use the Special Requests box when booking, or contact the property directly using the contact details in your confirmation. The location was a bit awkward to find. Nothing. Was perfect for us. 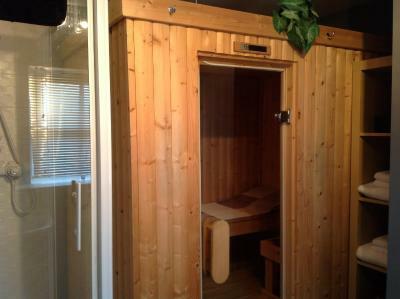 It had a sauna and we did not have time to use it. Sat nav indicated the venue was left when it was down the avenue on the right! Sharing a breakfast table could have been bad, but we shared with a chatty couple so it was OK. Very friendly and cosy atmosphere. Excellent breakfasts. A very enjoyable place to stay.